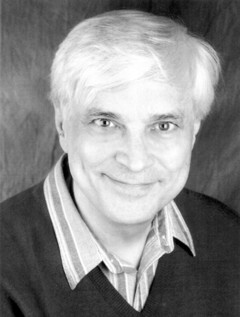 Michael Prichard has played several thousand characters during his career. While he has been seen performing over one hundred of them in theater and film, Michael is primarily heard, having recorded well over five hundred full-length books. During his career as a one-man repertory company, he has recorded many series with running characters—including the complete Travis McGee adventures by John D. MacDonald and the complete Nero Wolfe mysteries by Rex Stout—as well as series by such masters as Mark Twain, John Cheever, and John Updike. His numerous awards and accolades include an Audie Award for Tears in the Darkness by Michael Norman and Elizabeth M. Norman and several AudioFile Earphones Awards, including for At All Costs by Sam Moses and In Nixon's Web by L. Patrick Gray III. Named a Top Ten Golden Voice by SmartMoney magazine, he holds an M.F.A. in theater from the University of Southern California. Michael appears regularly on the professional stage, including as a member of Ray Bradbury's Pandemonium Theatre Company, performing such great roles as Captain Beatty in Fahrenheit 451, which became the second-longest-running production in the Los Angeles area. Bradbury himself dubbed Michael "the finest Beatty in history."